Here is some background information on the materials we'd like you to investigate. 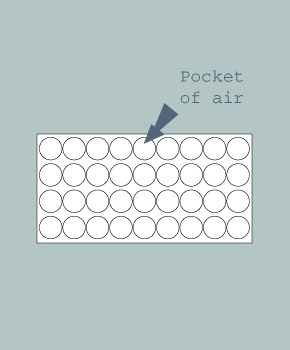 Plastic material containing lots of little air pockets. Bubble wrap is transparent (you can see though it) and is flexible so can easily be wrapped around things. It is often used to wrap items as packaging to protect them. Kitchen foil is made from very thin sheets of metal. It is reflective and can be torn easily. 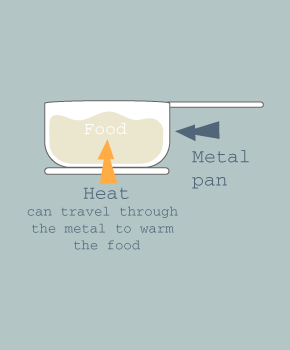 Metal is a conductor of heat. This means that the metalic foil will allow heat to pass through it easily. This is the reason we use metal to make items such as sauce pans. 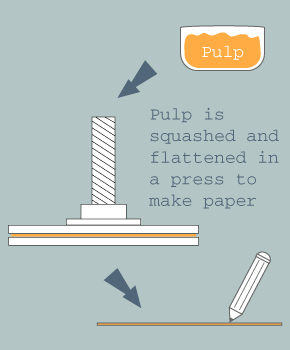 Paper is a thin material made by pressing moist pulp together. This pulp is often made from natural products such as wood. Paper cuts easily, is light and it is porous which means it has lots of tiny pores. This makes paper good at soaking up ink. 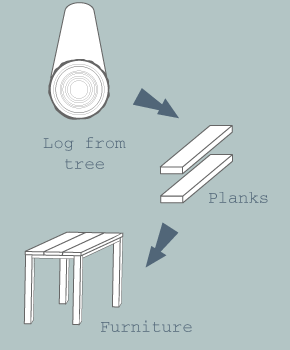 Wood is a natural material which comes from trees. Wood is strong and rigid which makes it a good material for making items of furniture and for house building. Wool is a natural material which comes from sheep. The fleece of the sheep is shorn (cut) in the springtime without harming the animal. The fleece grows back again through the winter. 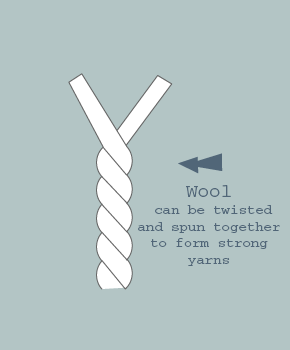 For thousands of years people have used wool because it is soft, warm and flexible making it easy to twist together to form strong strands called yarn. What else do you know about it?